When he told me his expectation prior to getting married, it was obvious that there would be no arguing this point. "Becca, in our house, we bleed Cardinal Red." And just like that, I became a Cardinals fan. One of the first things my Saint Louis-born husband did after we got married was buy me a couple of Cardinals shirts to make sure that I was properly outfitted for baseball season. 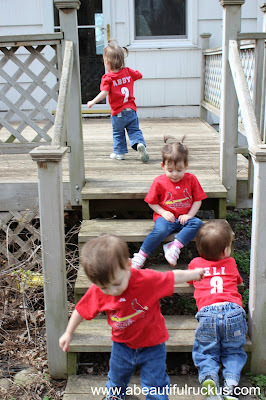 It was a foregone conclusion that our kids would be quickly trained in the way of the Cardinals when they came along. Well! 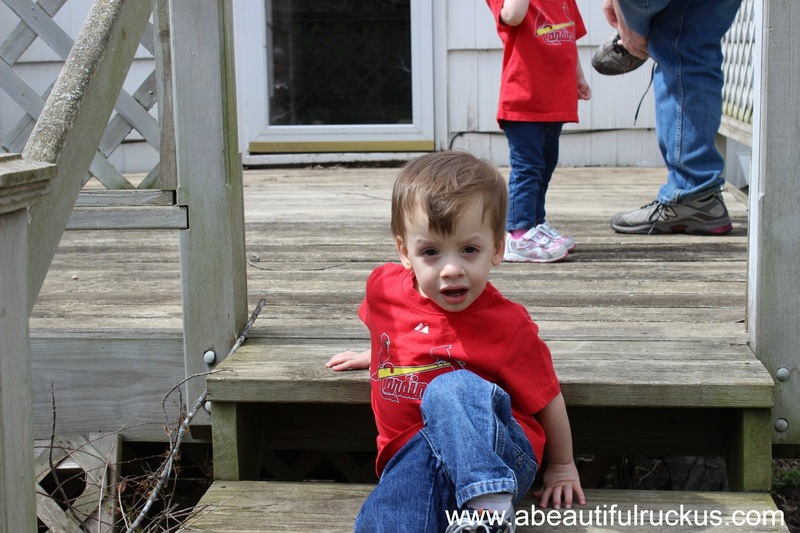 Our kids got their first matching Cardinals shirts from their Aunt Ruby last week. 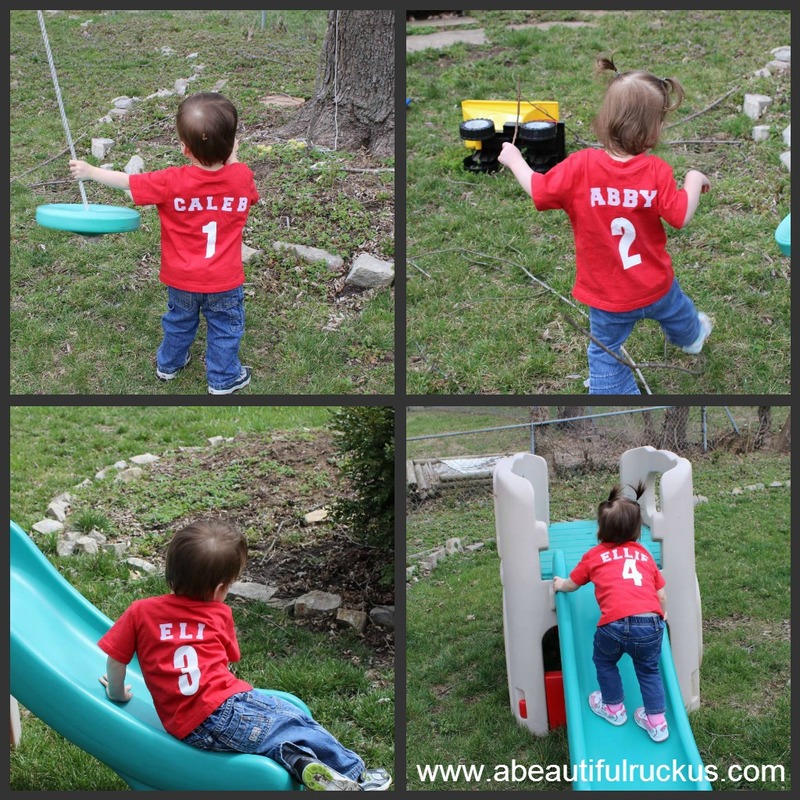 They even came complete with their names and numbers on the back! 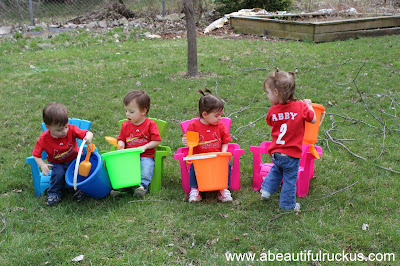 With a Cardinals game being aired on TV today, Sean announced that the whole family would be wearing our team gear. 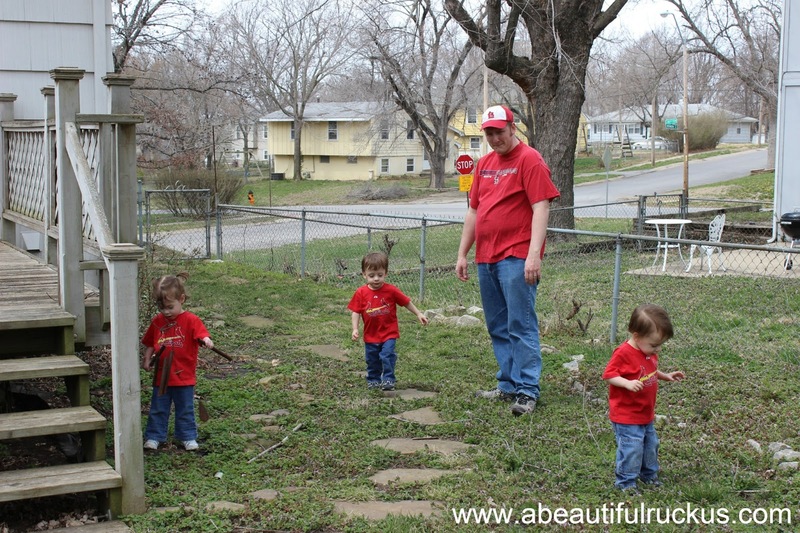 Abby, Caleb, Daddy, and Elijah exploring the backyard before the game began. 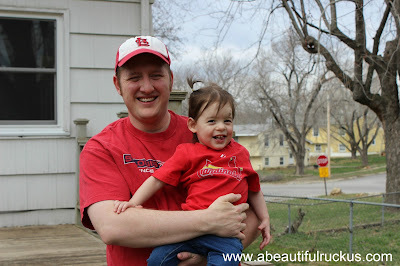 Daddy and Ellie rocking their Cardinals shirts! 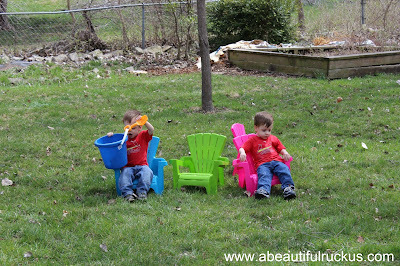 Elijah and Caleb taking a break. 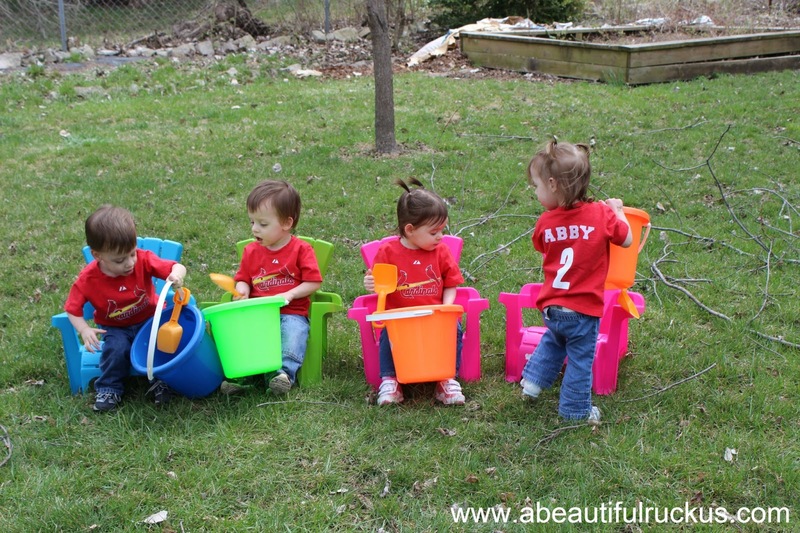 It takes a lot of energy to play outside! The best "posed" group photo I could catch. 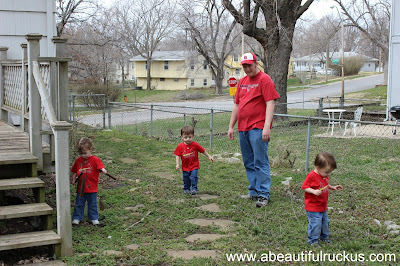 They all went in different directions as soon as I picked up my camera. Here's to a great baseball season! We are ready for it! They took a nap during the first part of the game, but they did just fine with the last three innings. 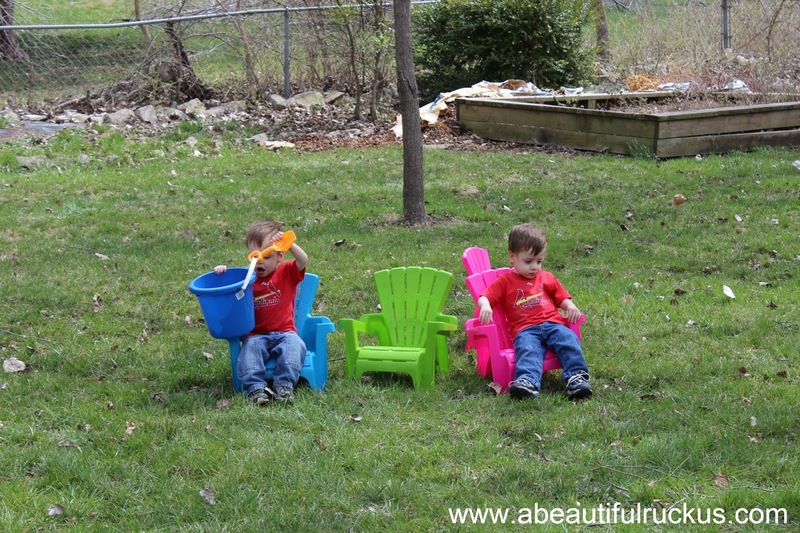 They are definitely little Ishums!